"My clients deserve someone who can explain things to them in an easy to understand and straightforward manner, provide realistic expectations, and then advocate aggressively on their behalf. My goal is to provide exactly that to each and every client." 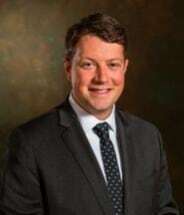 Finn has successfully advocated for his clients in all areas involving community associations, including the retrieval of assessments through collections and foreclosures; enforcement of association rules and governing documents; mediation, arbitration, and litigation; interpretation and amendment of governing documents; and many others. Finn’s successful results in his practice allows him to approach his clients’ problems with a keen understanding and familiarity of the issues related to community associations. Finn plays an essential role in providing legal counseling to associations. Whether a community is self-managed or employs a professional property management company, Finn prides himself in his commitment to prompt, personal service. He has provided legal counsel to associations relating to municipal law, state law, federal law, and administrative hearing.